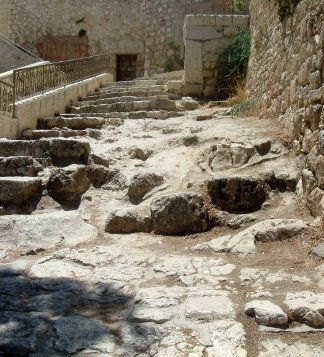 Jesus was taken to the palace of Caiaphas, the High Priest. Here he faced members of the Sanhedrin (a High Court) who called witnesses and interrogated him. Jesus’ answers puzzled and angered them. The Jewish authorities had been in conflict with Jesus for some time, but had done nothing other than challenge him in debate. His confrontation with the money changers in the Temple escalated the situation, and they now decided to act. While Jesus was surrounded by a crowd, this had been impossible. The swift, secret night-time arrest of Jesus gave them their opportunity. After his arrest in the Garden of Gethsemane Jesus was questioned by the former High Priest Annas (see Jesus and Annas). 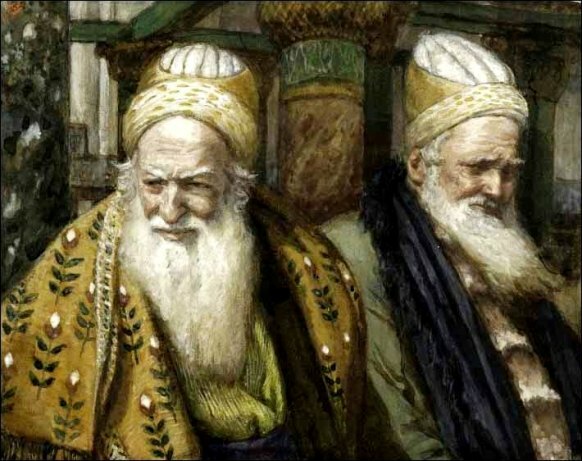 Then he was taken to the Palace of Caiaphas, the current High Priest. During this short journey he was punched, hit, pushed and probably knocked over. But now he had to face the Sanhedrin. 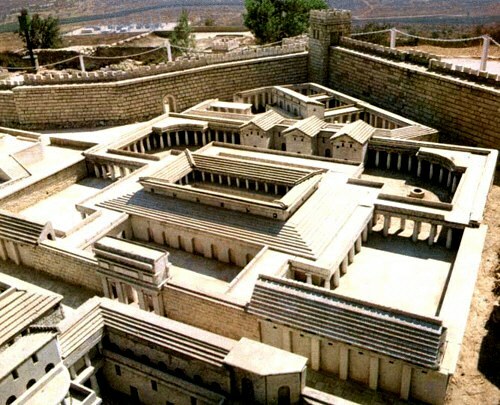 The trial/hearing took place in the Palace of the High Priest, an imposing building recently built as part of King Herod’s refurbishment of Jerusalem. Caiaphas and the Sanhedrin council saw Jesus as a dangerous threat to Jerusalem and the Jewish people. The city was politically unstable and overcrowded, this being Passover time. There were groups of terrorists, the Zealots, who believed that the only way to oust the Romans from Israel was through extreme violence. Galilee, where Jesus and his disciples originated, was known as a hot-bed of sedition. 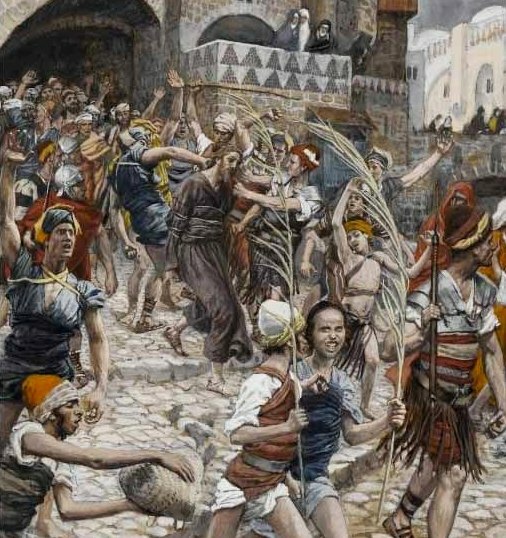 It was only natural that the Jewish authorities, headed by the High Priest and the Sanhedrin, should view Jesus as a possible catalyst for rebellion. They had no way of gauging how many followers he had, or what forces he might be able to summon. Annas had questioned Jesus about this on the previous evening, but Jesus had been non-committal. In such a volatile situation, it is surprising that Jesus got a trial at all. Nowadays in the Middle East he might be disposed of more quickly, with no semblance of justice. But the Sanhedrin, or at least the members of it who were present, tried to follow the correct legal procedure. See Annas questions Jesus for the Jewish regulations regarding witnesses and evidence. The hearing before the Sanhedrin was hurried, urgent, overshadowed by the fact that Passover was about to start. The priests, who normally would have taken their time to investigate Jesus, had to hurry to their sacred duties in the Temple. Since the festival was about to start, many of them probably feared Jesus’ arrest would be the spark that lit the fire of rebellion. In Jesus’ trial before the Sanhedrin, witnesses were brought into the council chamber to give evidence, but their statements were conflicting. Finally when it came his turn to speak, Jesus made claims that were, in the minds of the Sanhedrin, blasphemous. To speak of destroying the Temple, as Jesus did, was regarded as a treasonous offence deserving capital punishment. When Jesus then quoted Daniel 7:13 and referred to himself as the ‘Son of Man’, the High Priest found his words intolerable, sacrilegious. 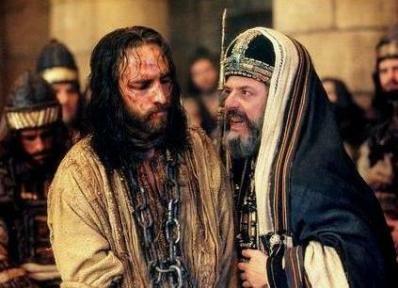 Caiaphas quickly condemned Jesus, but he could not pass the death sentence. 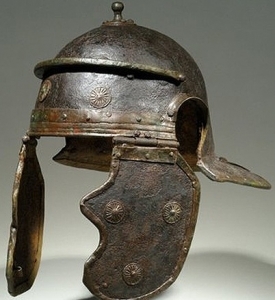 Only the Romans could do this. At the end of this hearing some members of the Sanhedrin, possibly furious at this intrusion into the Passover ceremonies, showed their contempt and anger by spitting at Jesus and striking him. Encouraged by the actions of their betters, the soldiers began the mistreatment that would culminate in the horror of crucifixion. Their behaviour shows the brutal nature of law enforcement at that time. Various games – and this was one of them – helped soldiers to pass the time. 55 Now the chief priests and the whole council sought testimony against Jesus to put him to death; but they found none. 56 For many bore false witness against him, and their witness did not agree. 57 And some stood up and bore false witness against him, saying, 58 “We heard him say, ‘I will destroy this temple that is made with hands, and in three days I will build another, not made with hands. '” 59 Yet not even so did their testimony agree. 60 And the high priest stood up in the midst, and asked Jesus, “Have you no answer to make? What is it that these men testify against you?” 61 But he was silent and made no answer. Again the high priest asked him, “Are you the Christ, the Son of the Blessed?” 62 And Jesus said, “I am; and you will see the Son of man seated at the right hand of Power, and coming with the clouds of heaven.” 63 And the high priest tore his garments, and said, “Why do we still need witnesses? 64 You have heard his blasphemy. What is your decision?” And they all condemned him as deserving death. 65 And some began to spit on him, and to cover his face, and to strike him, saying to him, “Prophesy!” And the guards received him with blows. Then they seized him and led him away, bringing him into the high priest’s house.